First fire was Thursday, see below for Friday’s fire on California. 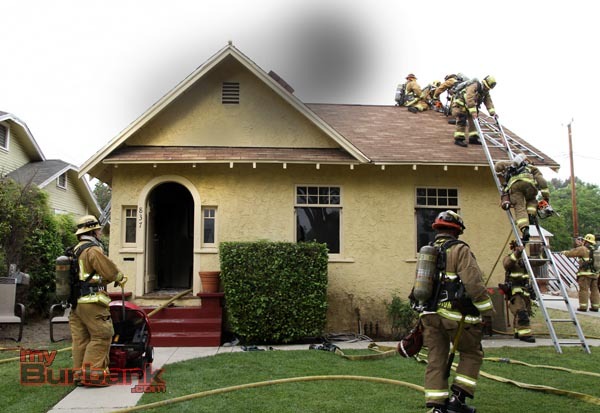 The Burbank Fire Department responded to a reported house fire in the 800 block of Kenwood Thursday morning to find smoke coming from the attic vents. Quick work by Fire Fighters kept the small fire from extending, although smoke caused by the interior wall fire was bad enough to take the life a family cat. Damage from the fire was estimated at $50,000 to the contents and $50,000 to structure. There were no injuries to Fire Fighters during this fire. 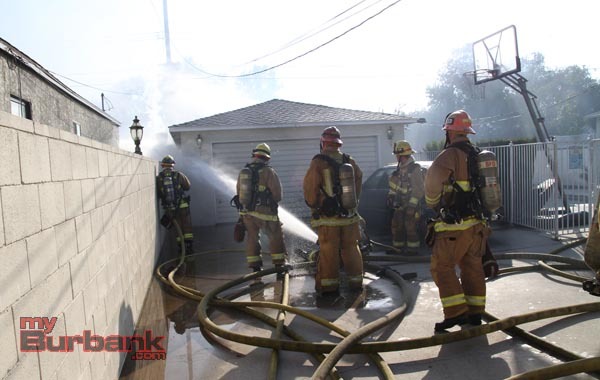 Friday afternoon Burbank Fire Fighters were called to the 1300 block of N. California Street to a reported shed fire behind a house. When firefighters arrived they approached the fire and heard several popping sound and retreated. The fire fighters determined the popping sound was live ammunition rounds exploding. The decision was made to attack the blaze in a defensive mode and keep firefighters in a safe distance from the live rounds going off. 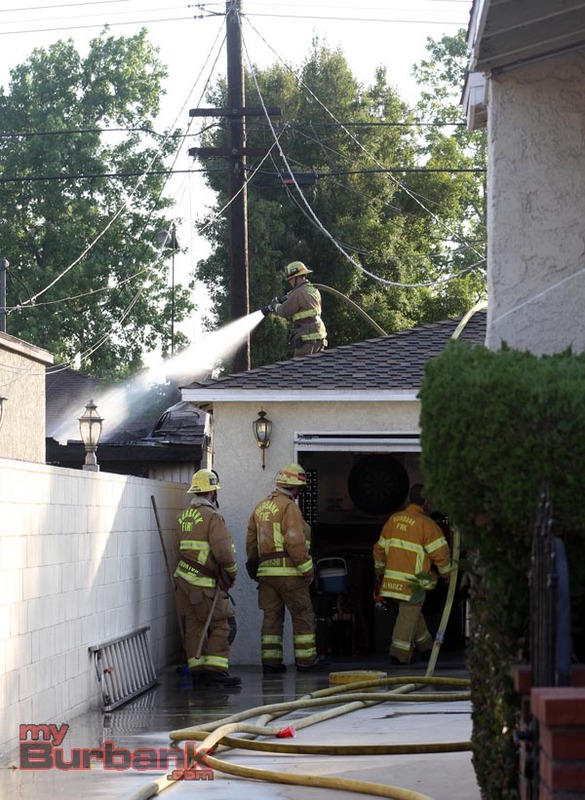 The cause of this blaze and the one on Thursday are currently being investigated by Burbank’s Arson Investigator. 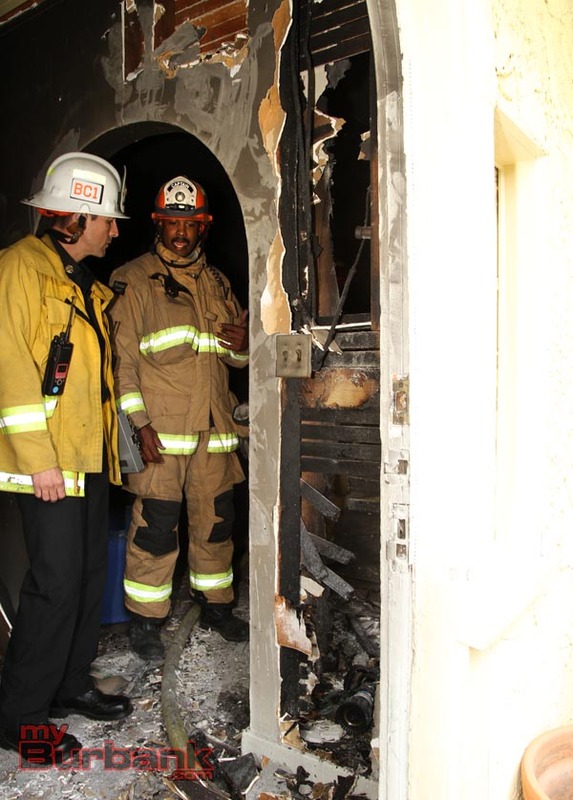 This entry was posted in Fire, News and tagged Burbank Fire Department, California, kenwood on May 24, 2014 by Ross A. Benson.